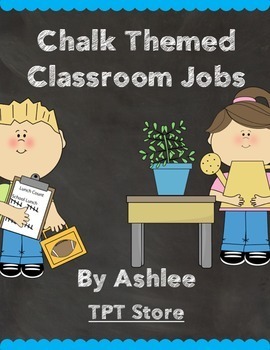 This chalkboard themed job chart provides circular jobs with a cute cartoon and job name. 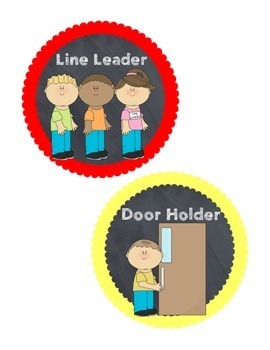 Numbers to use as clips or magnets to identify students' jobs if your students have classroom numbers. 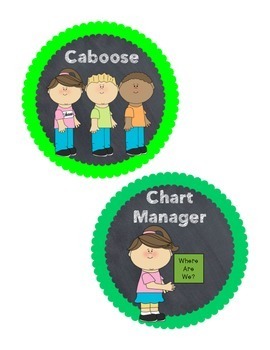 Blank circles to use as clips or magnets to identify students' jobs, just put students names or initials on blank circles. Enjoy my product & remember to rate it & follow my store!